While DCW wants action against Apollo Hospital and Army R and R Hospital for refusing acid attack victim, the Apollo Hospital has clarified that no such lapse in services has happened at their end. Delhi commission for women has written to the health ministry recommending punitive action against two hospitals, Apollo Hospitals and Army R&R hospital , for allegedly not adhering to Supreme Court’s directive to admit acid attack victims. This comes after DCW issued show cause notices to these hospitals after receiving a complaint from the brother of the acid attack victim. The Commission has recommended punitive action against the hospitals including registration of FIR under Section 357 (assault or criminal force in attempt wrongfully to confine a person) of the Indian Penal Code (IPC). “I would like to bring to your kind attention this particular case where two prominent hospitals of Delhi, Indraprastha Apollo Hospital and Army Research and Referral Hospital refused treatment to an acid attack victim. Subsequent to the intervention of the DCW and the Nodal Officer for acid attack victims of the Health Department, Dr R N Das, the victim is now being treated properly in Apollo Hospital,” said DCW chairperson Swati Maliwal in her letter to Health Minister Satyendar Jain. “However, it is clear that hospitals admit an acid attack victim only after considerable pressure is put on them. This case is a serious dereliction of orders of the Supreme Court. The inaction of the two hospitals, may have led to considerable worsening of the victim’s condition and could have posed a direct threat to her life,” she added. “In light of this, I recommend you to immediately take punitive action against these hospitals,” Maliwal said as she asked Jain to provide an intimation to the Commission on the action taken at the earliest. When contacted the Apollo Hospitals, the spokesperson clarified to Medical Dialogues that the hospital did not refuse the patient . 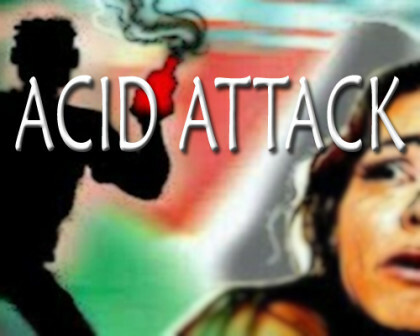 “The Delhi Commission for Women had sent a notice to the hospital regarding refusal of treatment for an acid attack patient referred to the hospital. The hospital had responded by clarifying that the hospital had never refused treatment to the patient . For the past month she continues to get the best possible treatment based on her clinical needs at the hospital. In fact several other acid attack victims have also been admitted and treated free of cost during the past few months. There has been no further correspondence with the DCW on this matter,” the spokesperson said. Medical Dialogues could not reach Army Research and Referral Hospital for comments.